Welcome to the longest running boomer blog carnival online! I have been involved in this activity for years now over at my old “midlife” site MidlifeCrisisQueen.com. Here we bloggers take turns hosting links to some great posts relevant to boomers. First off we have Meryl Baer who was once again on the road, but in Seattle this week, where she had the opportunity to connect with a fellow blogger in person, Rita Robison of The Survive and Thrive Consumer Blog. Read her remarks in Connecting With an Internet Crony. On The Survive and Thrive Boomer Guide, Rita R. Robison, consumer journalist, this week writes about how older adults can stay safe online. If you’re retired is it still possible to skip a day at school, or take a “mental health” day from work? For one answer, take a side trip over to Playing Hooky, and see what happens when Tom Sightings’ mind begins to wander. 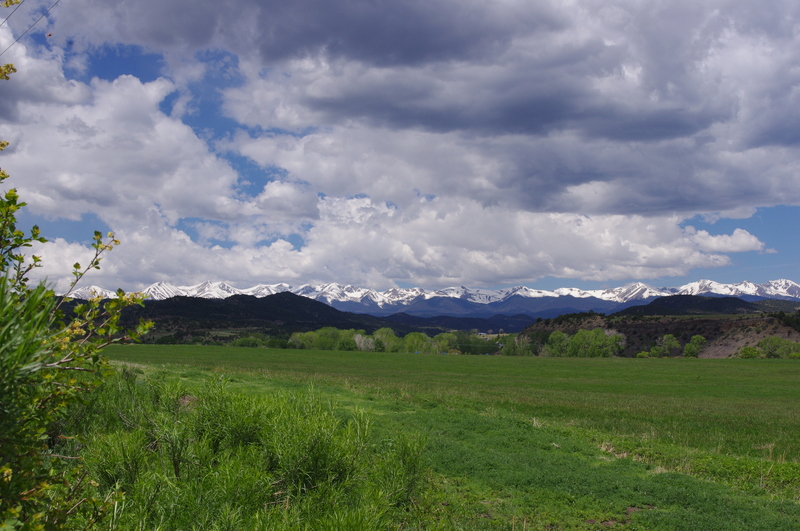 fantastic views of the Sangre de Cristo mountain range! We stopped by Stonewall Lodge where they have a very nice set-up with cabins at 8,000 feet. Then we drove over to Cokedale, near Trinidad to see the coke ovens. 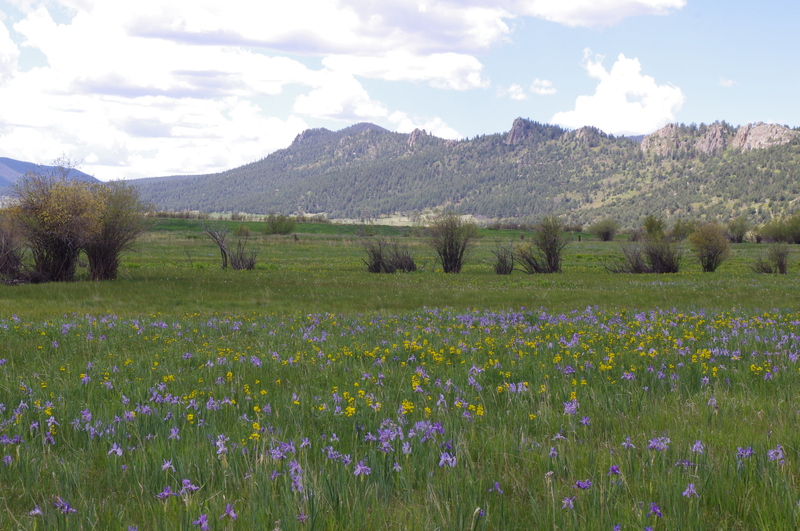 One was a delightful field full of Rocky Mountain Wild Iris and Golden Banner! We found this to be a day well-spent, appreciating the benefits of this wonderful place we now call home… not bad for a three hour drive with almost no traffic, eh? Click on photos for full-size views, and follow us on TWITTER! 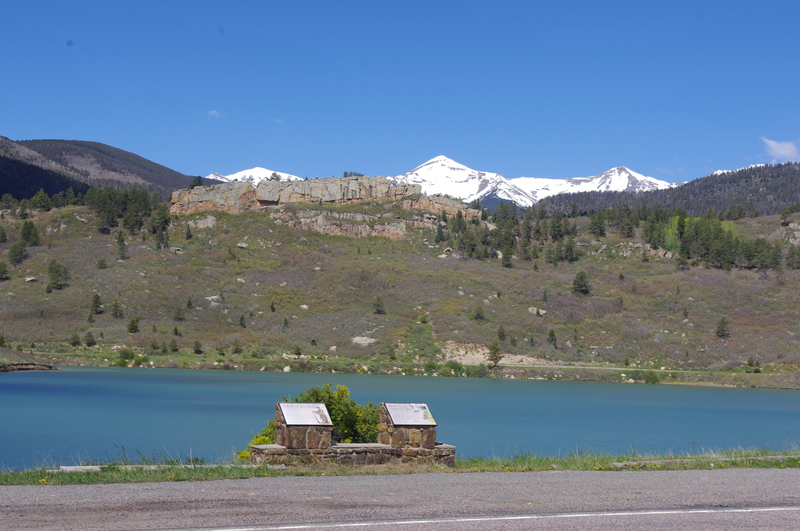 ← A Magical Afternoon at Bishop Castle in Southern Colorado! It looks beautiful. A lovely place to call home. Oh my my!! 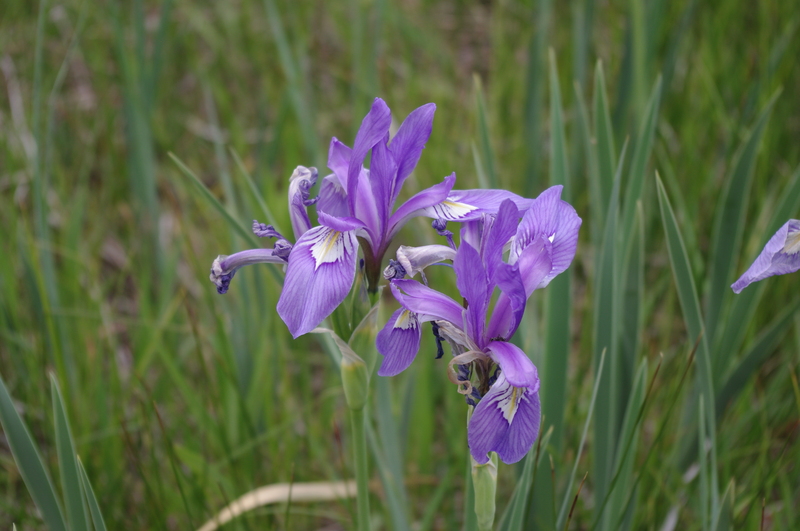 I love the wild iris and have forgotten how the fields near the Wet Mountains are carpeted with them this time of year! 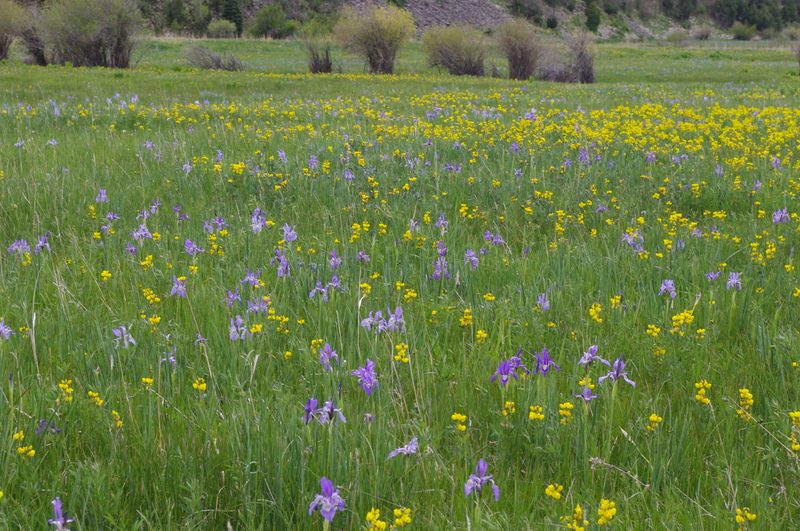 Our prairie primroses are starting to show to the north of you! Sorry about the old site but this is a lovely place to visit on the net. What beautiful views! It’s no wonder you decided to move there! I can’t wait until we can get back on the road and visit this area once again. Your photos are so beautiful! I don’t blame you for giving up the hard slog that is blogging in the 21st century. Yes Carol, but I haven’t given up! Just sticking with WordPress blogs, no more Blue Host!